Shares of Tilray Inc. (NASDAQ: TLRY) were up 13.9%, while Canopy Growth (NYSE: CGC) was down 11.6% and Cronos Group (NASDAQ: CRON) slipped 10.3% as of 3:05 p.m. EDT on Thursday. Tilray reported earlier in the day that it had received regulatory permits to export medical cannabis flower to Germany. With this approval, Tilray becomes the first -- and, for now, the only -- marijuana producer to export both cannabis oil and cannabis flower products to Germany. 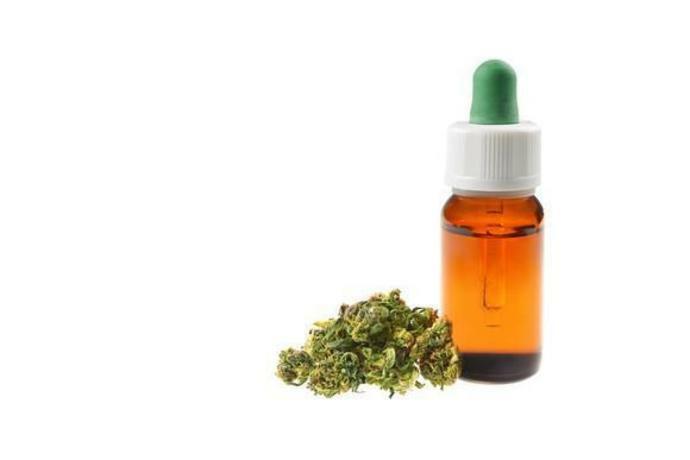 Canopy Growth and Cronos Group currently supply cannabis oil products to the German market. It's certainly a big deal for Tilray to get the green light for exporting cannabis flower products to Germany. The country is the largest marijuana market outside North America. Arcview Market Research and BDS Analytics project that total cannabis sales in Germany will increase to $1.6 billion by 2022. There are also some bragging rights for Tilray in becoming the first company to gain approval for providing both cannabis oil and flower products to Germany. You can bet that Canopy Growth and Cronos Group would have loved to claim first-mover status in the important European market. Tilray also now has even greater bragging rights. With today's stock-price moves, it has replaced Canopy Growth as the biggest marijuana stock in the world in terms of market cap. Canopy stood at the top of cannabis industry valuation for most of the last two years. However, I think that Tilray's big jump in share price and the declines for Canopy Growth and Cronos Group were overdone. The cumulative swing in market caps of more than $2 billion on today's news simply isn't warranted for what is likely only a temporary advantage for Tilray. Canopy and Cronos are both angling to supply cannabis flower products to Germany as well. And while Tilray reported that around 5% of its total Q2 revenue of $9.7 million came from international sales (primarily in Germany), Canopy announced that the German market accounted for 14% of its product revenue: 25.9 million Canadian dollars. You don't have to do currency conversions to know that Canopy has an advantage over Tilray in the important European market where it counts: in cold, hard dollars. Everything is going gangbusters for Tilray right now. But I think it's hard to make a solid case that the company now really merits a market cap of over $11 billion. It's also a real stretch to argue that Tilray should be worth more than Canopy Growth. After all, Canopy claims higher sales and greater production capacity. It also has a lot more cash, thanks to the recent $4 billion investment from Constellation Brands, not to mention the advantages of partnering with that leading alcoholic beverage company. I have said for several weeks that Tilray's share price could keep climbing, but that its current rate of momentum is destined to come to an end. That's still my view. What about Canopy and Cronos? Both were due for a pullback, but I don't think that today's news is really a good reason for the stocks to drop significantly. Over the long run, I remain optimistic about the prospects for large marijuana growers like Canopy, Cronos, and Tilray. But investors looking to jump aboard the Canadian marijuana-stock train should be very careful. This locomotive is already headed down the tracks at breakneck speed -- and the train could be derailed at some point in the not-too-distant future. I suspect that Tilray will be the first railcar off the tracks.